Charlotte County was established April 23, 1921. It was named for the Bay of Charlotte Harbor. "Charlotte" came from "Carlos" (English) or "Calos" (Calusa Indian). In 1565, the Spanish named "Carlos Bay," followed by the English in 1775 who named the area Charlotte Harbor in tribute to the Queen Charlotte Sophia, wife of King George III. 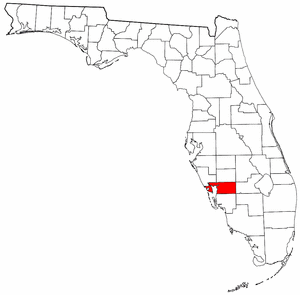 Punta Gorda is the only incorporated city in Charlotte County. On August 13, 2004 Charlotte County was devastated when Hurricane Charley came ashore near Port Charlotte as a Category 4 hurricane.